An exceptionally spacious and comfortable villa which is located an easy walking distance into the historical town of Es Castell. 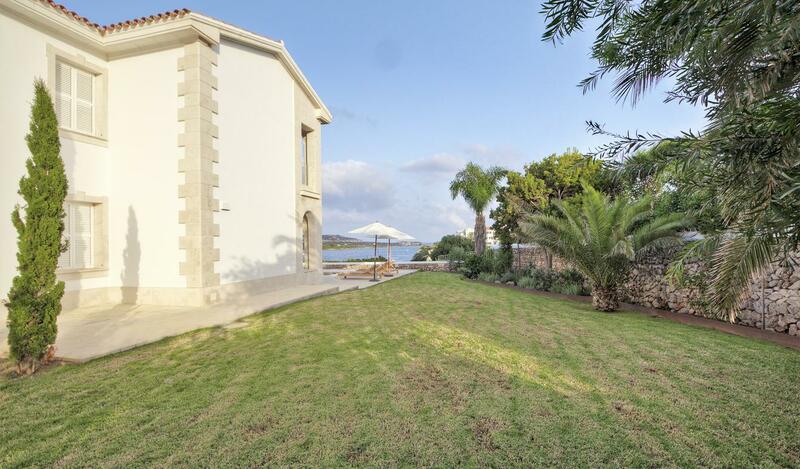 It has an enviable position above the sea and enjoying stunning views out to the mouth of Mahon harbour. Inside the villa are 7 double bedrooms with 6 bathrooms plus a service room with shower. The open lounge is light and diaphanous with sea views and with the terrace and pool in front. The kitchen has a central workplace, and opens onto the dining room and billiards room. The villa has been built to a high standard, with many extras for comfort and is bright and modern. From the terraces you can access the jetty and swimming platforms below.